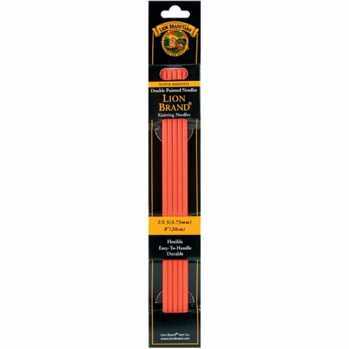 Lion Brand double point knitting needles have a tapered tip to prevent stitches from falling off. They are made of a pearlized plastic with a smooth-glide finish for easy, flexible handling. The beautiful colors allow stitches to be easily seen and counted.